Most people are surprised when I tell them that I make my own hummus, I think it is a general misconception that it’s a hard food to make. It’s actually so easy, sometimes I just have it for dinner to save myself the time of making a meal. Once you make it enough, you won’t even need a recipe. You can just eyeball the amounts and you’re bound to nail it every time! Here’s a recipe just in case you do need it though. Start off with your chickpeas and garlic cloves in the food processor, and pulse them together for a minute or two (depends on your machine). Scrape the sides of the bowl half way through to get an even pulse. Add your lemon juice, salt, tahini paste and cumin and blend until smooth. If at any point the paste is too thick, add some water to the desired consistency. Will keep fresh up to 10 days in the refrigerator. 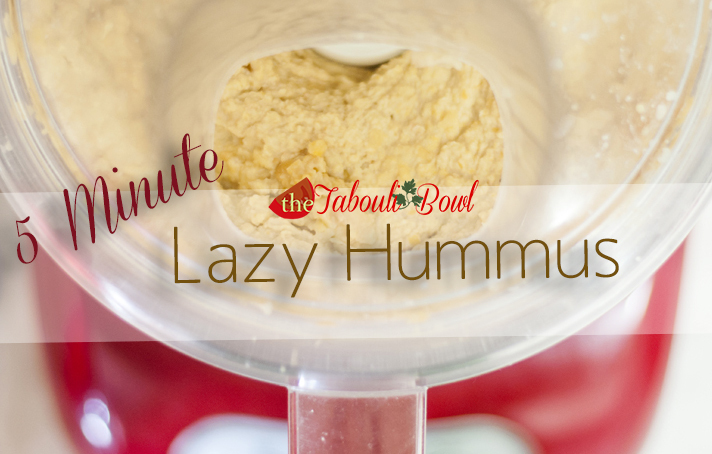 Portion out the hummus into containers for the week with your favorite dipping food (pita, crackers, carrots etc.) for a quick and healthy school snack! What do you dip in your Hummus?